The number a player wears becomes a part of him. Given those parameters, here's a look at the best of the best of NHL players who have worn Nos. 34 to 66. For the best to wear Nos. 00 to 33, click here. Who's the best player to wear No. 1? 35? 79? NHL.com takes a look at hockey's greatest players by the numbers they wore. "Beezer" had several fine seasons with the Rangers, winning the Vezina Trophy as the NHL's top goaltender in 1985-86, but really came into his own after being taken by the Florida Panthers in the 1993 expansion draft. He went on to win more than 300 games, but his best work came when he led the third-year Panthers to the Stanley Cup Final. "Tony O" had one of the great debut seasons in NHL history, winning the Calder and Vezina Trophies in 1969-70 while leading Chicago to first place with 15 shutouts -- a total no one has come close to matching since then. Esposito had 30 or more wins in each of his first seven full NHL seasons and finished with 423 victories, a 2.92 goals-against average and 76 shutouts. While scorers such as Glenn Anderson, Brian Propp and Bobby Clarke wore No. 36 for a season, Barnaby spent his whole career wearing it -- often while scrumming with an opponent. Barnaby had 113 goals, 300 points and 2,562 penalty minutes while driving opponents crazy during his 843 NHL games. "Olie the Goalie" led the Washington Capitals to their only appearance in the Stanley Cup Final (in 1998), and won 301 games with the Caps, by far the most in franchise history. He was the NHL's best goalie in 1999-2000, earning the Vezina Trophy and First-Team All-Star honors, and finished his career with 35 shutouts and a 2.71 goals-against average. Demitra, a 1993 ninth-round pick by Ottawa, didn't establish himself as an NHL player for five years. But once he did, he was one of the League's most consistently productive players. He had as many as 37 goals and 93 points during eight seasons with St. Louis and has put up 304 goals and 768 points in 847 games -- as well as leading all players in scoring at the Winter Olympics in Vancouver. With Ed Belfour ensconced as their No. 1 goaltender, the Chicago Blackhawks had no qualms about trading Hasek, then a 27-year-old backup, to Buffalo. The rest is history: Hasek became one of the great goaltenders in NHL history, winning six Vezina trophies, back-to-back Hart trophies, and piling up 389 victories despite not becoming an NHL regular until he was 29. His flipping and flopping style of play was unique, but he did the one thing all goalies are paid to do -- keep the puck out of the net by any means necessary. Another of Detroit's late-round draft gems -- he was chosen in the seventh round in 1999 -- Zetterberg has been a key part of the Wings' continued excellence since the early 1990s. 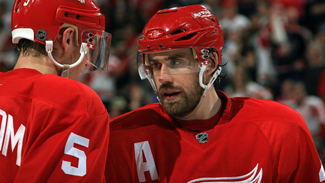 He's averaged more than a point a game for the past five seasons, put up as many as 43 goals and 92 points in a season and earned the Conn Smythe Trophy as playoff MVP by powering the Wings to the 2008 Stanley Cup. He may be remembered best for being the goalie who went from Colorado to Montreal in the deal that sent Patrick Roy to the Avs, but Thibault was a solid NHL goaltender who finished his career with 238 victories, 39 shutouts and a 2.75 goals-against average in 586 games -- most of them with teams that were nowhere near winning the Stanley Cup. Despite knee problems, Smehlik had a solid 10-year NHL career -- a pretty good showing for a player drafted in the fifth round by Buffalo in 1990. He had 14 goals and 41 points for the Sabres in 1993-94; though he never approached those numbers again after missing 1995-96 while recovering from knee surgery, he returned as a solid player who finished with 195 points and was plus-62 in 644 games. After wearing No. 00 as a rookie with Buffalo, Biron switched to his more familiar No. 43 and has gone on to a solid career. He takes his 208 victories and 2.63 goals-against average to the New York Rangers, where he's expected to back up Henrik Lundqvist this season after spending 2009-10 with the archrival Islanders. Few players in NHL history were more talented than Richer, who became an NHL regular at age 19 and was a two-time 50-goal scorer before he turned 24. Richer never hit those heights again, but finished his career with 421 goals and 819 points in 1,054 games. 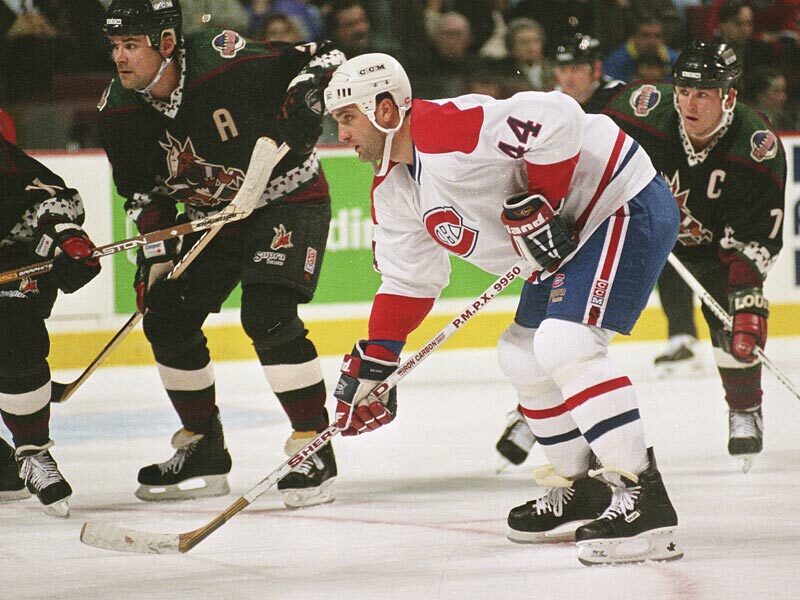 He was a key contributor on a pair of Stanley Cup champions -- Montreal in 1986 and New Jersey nine years later. The first player (alphabetically) to wear No. 45 also is the best. Asham has been a useful player no matter where he's been. Though he's never had more than 15 goals or 34 points, Asham is a player who always has been willing to do the dirty work, works hard and stands up for his teammates. His offensive numbers could go up in 2010-11 after signing with Pittsburgh. The older of the Kostitsyn brothers has worn No. 46 more than anyone in NHL history (245 games). The Belarus native, taken by Montreal with the 10th pick in the 2003 Entry Draft, already has a pair of 20-goal seasons and likely would have had a third had he not missed 23 games with injuries this past season. Bergeron's struggles in his own zone may have kept him from becoming a star, but his big shot on the power play should keep him in the NHL for a long time. Bergeron has had at least 13 goals in four of his six full NHL seasons, and 43 of the 75 goals he's scored (in only 399 career games) have come on the power play. Briere has three 30-goal seasons and put up 95 points for Buffalo in 2006-07, earning him a big contract from the Flyers. Briere hasn't come close to matching his big season as a Flyer, but did lead all scorers in last spring's playoffs with 30 points. At age 32, he has 230 goals and 526 points in 666 NHL games. 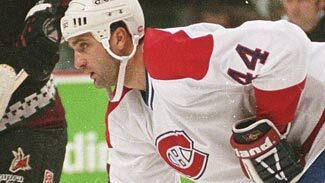 An eighth-round pick by the Canadiens in the 1991 Entry Draft, Savage became a solid NHL regular, scoring 192 goals and reaching the 20-goal mark four times during a 12-year career. He also won a silver medal with Canada in the 1994 Olympics. Mason switched to No. 50 when he signed with St. Louis as a free agent in 2008. Don't be surprised if he keeps it with his new team, the Atlanta Thrashers. Mason is coming off the two best seasons of his career -- he rallied the Blues to a playoff berth in 2008-09 and nearly did it again last season while reaching the 30-win mark for the first time. Buffalo took Campbell almost as an afterthought -- he was a sixth-round pick in the 1997 Entry Draft -- but he's blossomed into one of the NHL's best defensemen. Campbell was a Second-Team All-Star in 2007-08 and played a vital role in Chicago's Stanley Cup victory this past spring. Few players have worn any number as long as Foote has carried No. 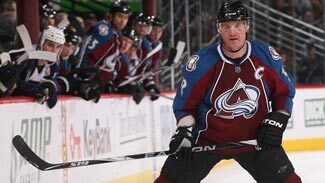 52 on his back -- he's done it for 18 seasons and 1,107 games, most of them with the Quebec Nordiques/Colorado Avalanche franchise, for which he now wears the "C." Foote doesn't score much (66 goals), but he's always been a solid defender and was a contributor on the Avs' Stanley Cup-winning teams. Morris, now 32, has worn No. 53 more than anyone else -- for all but 14 of the 869 games he's played in the NHL. The veteran defenseman, who re-signed with Phoenix this summer, has 80 goals and 369 points in his 12 NHL seasons; the 29 points he put up last season were the most he's had since 2003-04. The 2002 sixth-round pick by Tampa Bay had three solid seasons for the Lightning, including a 10-goal, 31-point performance in 2007-08. He missed much of last season with personal issues and hasn't said whether he'll be back for the 2010-11 season. The Hall of Fame defenseman had the most successful seasons of his career wearing No. 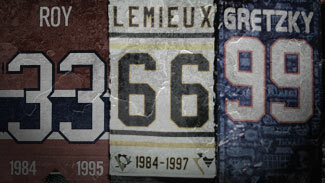 55, first for the Pittsburgh Penguins and later for the Detroit Red Wings. Murphy's 1,615 games played are third among NHL defensemen, and his 1,216 points are fifth. He was a key to Pittsburgh's back-to-back Cups in 1991 and '92, as well as Detroit's consecutive championships in 1997 and '98. Zubov started his career with a bang, leading the 1993-94 New York Rangers in scoring and helping the Blueshirts end their 54-year Cup drought. But he's best known for his time in Dallas, where he was one of the NHL's best puck-moving defensemen for 12 seasons, helped the Stars win the only Stanley Cup in franchise history in 1999 and holds most of the club's scoring marks for defensemen. Perron, a first-round pick by St. Louis in the 2007 Entry Draft, is off to a solid start. He made it as an NHL regular before his 20th birthday and has 48 goals and 124 points in 225 games entering his age-22 season. He's coming off the first 20-goal season of his career. Sidney Crosby wasn't all the Pittsburgh Penguins got from the 2005 Entry Draft. 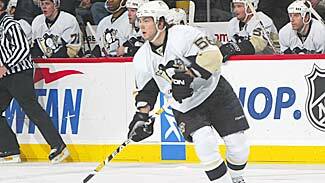 Two rounds after taking Crosby, the Penguins nabbed Letang, a Montreal native who's on his way to a solid NHL career. He had a career-high 24 assists last season and added 5 playoff goals. At 23, he's already got a Stanley Cup ring after helping the Penguins win in 2009. Carolina signed LaRose as a free agent in 2003 after he scored 61 goals for Plymouth in his final junior season. Three years later, LaRose was a member of the franchise's first Stanley Cup-winning team. He's never been a big scorer, but LaRose has become a useful third-line forward who can contribute offensively. Theodore never has matched the career season he had in 2001-02, when he won the Vezina and Hart trophies by going 30-24-10 with a 2.11 goals-against average and .931 save percentage for Montreal. He turns 34 this month and has 245 career wins, but is looking for a job despite going 30-7-7 for Washington last season. The Columbus Blue Jackets made Nash the first pick in the 2002 Entry Draft, and he's by far the greatest player in the franchise's short history. By age 25, he already had scored 227 goals and 422 points, had a pair of 40-goal seasons and owned virtually every Jackets offensive record. He also owns a gold medal after playing for Canada at the Winter Olympics in Vancouver in February. The son of Hall of Famer Peter Stastny wore his dad's number reversed as a rookie in 2006-07 -- and made his father proud with 28 goals and 78 points in 82 games for Colorado, which had retired Peter's number in honor of his days when the franchise was based in Quebec. He switched to No. 26 in his second season and has worn it ever since. Ribeiro blossomed when he was sent to Dallas by Montreal in 2006 and switched from No. 71 to No. 63. He's averaged more than 21 goals and 68 points in his four seasons with the Stars, and had 17 points in 18 playoff games in 2008. This number hasn't gotten a lot of use in NHL history. McGinn, who's played for San Jose in each of the last two seasons, has 14 goals -- the most by any player who's ever worn No. 64. Napier, a two-time 40-goal scorer while wearing No. 31 with Montreal, took No. 65 in Edmonton in 1987 and kept it when he was sent to Buffalo, his fourth NHL stop. 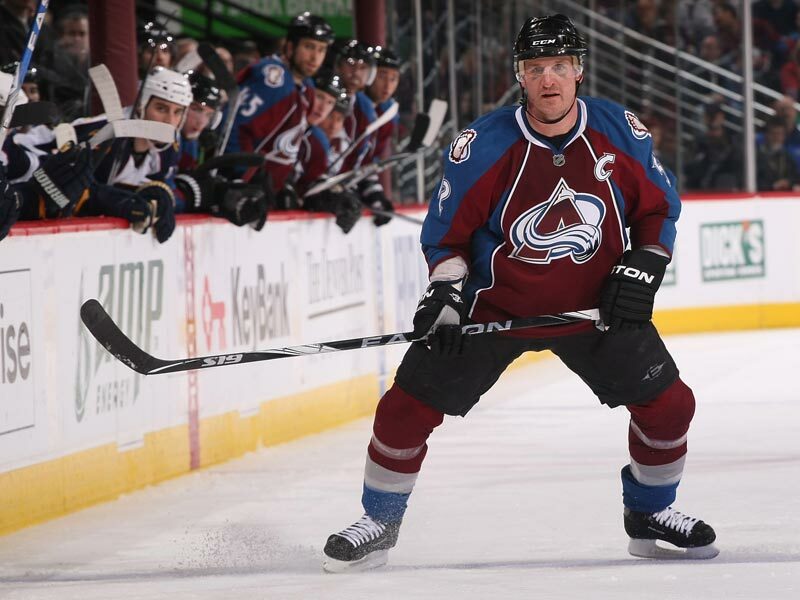 He finished his career with 235 goals in 767 NHL games. Four players have worn No. 66, but the number is identified solely with Lemieux, perhaps the most physically talented player ever to take the ice in the NHL. He scored on his first shot as a rookie in 1984, went on to win six scoring titles and three MVP awards, led Pittsburgh to the first two Stanley Cups in franchise history despite numerous injuries, survived a bout with Hodgkin's disease -- then came back to become the third player ever to skate in an NHL game after being named to the Hockey Hall of Fame. He's now an owner of Penguins and watched the team he's spent his entire career with win a third Cup in 2009.